Italian is a Romance language. Italian, together with Sardinian, is by most measures the closest language to Vulgar Latin of the Romance languages. Italian is an official language in Italy, Switzerland, San Marino and Vatican City. It has an official minority status in western Istria. It formerly had official status in Albania, Malta, Monaco, Montenegro (Kotor) and Greece, and is generally understood in Corsica and Savoie. It also used to be an official language in the former Italian East Africa and Italian North Africa, where it plays a significant role in various sectors. Italian is also spoken by large expatriate communities in the Americas and Australia. In spite of not existing any Italian community in their respective national territories and of not being spoken at any level, Italian is included de jure, but not de facto, between the recognized minority languages of Bosnia-Herzegovina and Romania. Many speakers of Italian are native bilinguals of both standardized Italian and other regional languages. A miniseries is a television program that tells a story in a predetermined, limited number of episodes. The term "serial" is used in the United Kingdom and in other Commonwealth nations, though its meaning doesn't necessary equate to "miniseries" in its usage. The production stars British actor Ronald Pickup as Giuseppe Verdi, Italian ballet dancer and actress Carla Fracci as Giuseppina Verdi, and Giampiero Albertini as Antonio Barezzi. Funded by a number of European national broadcasting companies, the series is an accurate portrayal of Verdi's life. Ronald Alfred Pickup is an English actor who has been active in television and film since 1964. A ballet dancer is a person who practices the art of classical ballet. Both females and males can practice ballet; however, dancers have a strict hierarchy and strict gender roles. They rely on years of extensive training and proper technique to become a part of professional companies. 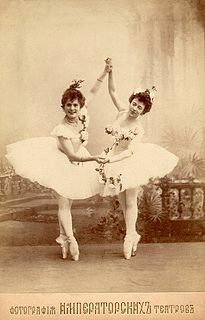 Ballet dancers are at a high risk of injury due to the demanding technique of ballet. The English version has seven 90-minute episodes totaling 630 minutes; the original Italian version, nine 70-minute episodes. "Patriotism, I Lombardi & Ernani"
"Independent Italy, La Traviata & Un Ballo"
Omero Antonutti is an Italian actor and dubber, appearing regularly in films and theatre performances. He was born at Basiliano, Friuli. Giampiero Albertini was an Italian actor, voice actor and TV personality. Carla Fracci is an Italian ballet dancer and actress. Thanks to her extensive career and her acclaimed interpretation of several classical romantic ballets such as La Sylphide, Fracci became one of the most experienced and recognized interpreters of Romantic ballets. “As Erik Bruhn once said, [Fracci] gave the world a new idea of the ballerina in 19th-century Romantic ballets.” Her career highlights include Nijinsky, Giselle, Complete Bell Telephone Hour Performances: Erik Bruhn 1961-1967. Carlo Sabajno was an Italian conductor. From 1904 to 1932, he was the Gramophone Company's chief conductor and artistic director in Italy, responsible for some of the earliest full-length opera recordings, most of them with the orchestra of La Scala, Milan and prominent singers there. Particularly outstanding among these are his stately, authoritative late-1920s and early-1930s electrical recordings of Don Pasquale, Traviata, Aida, Otello and Bohème. The Casa di Riposo per Musicisti is a home for retired opera singers and musicians in Milan, northern Italy, founded by the Italian composer Giuseppe Verdi in 1896. The building was designed in the neo-Gothic style by Italian architect, Camillo Boito. Both Verdi and his wife, Giuseppina Strepponi are buried there. A documentary film about life in the Casa di Riposo, Il Bacio di Tosca, was made in 1984 by the Swiss director Daniel Schmid. Teresa Brambilla was a celebrated Italian soprano most remembered today for having created the role of Gilda in Verdi's opera, Rigoletto. During a career that spanned 20 years, she sang throughout Italy and in other European cities, including Paris, Barcelona and Odessa. Eternal Melodies is a 1940 Italian historical drama film directed by Carmine Gallone and starring Gino Cervi, Conchita Montenegro and Luisella Beghi. It was one of several musical biopics directed by Gallone. The film was shot at Cinecittà in Rome. Giuseppe Verdi, released theatrically in the USA as The Life and Music of Giuseppe Verdi and on video as Verdi, the King of Melody, is a 1953 Italian biographical musical melodrama film starring Pierre Cressoy and directed by Raffaello Matarazzo. It is based on adult life events of the composer Giuseppe Verdi. The film was a commercial success, grossing over 957 million lire at the Italian box office.